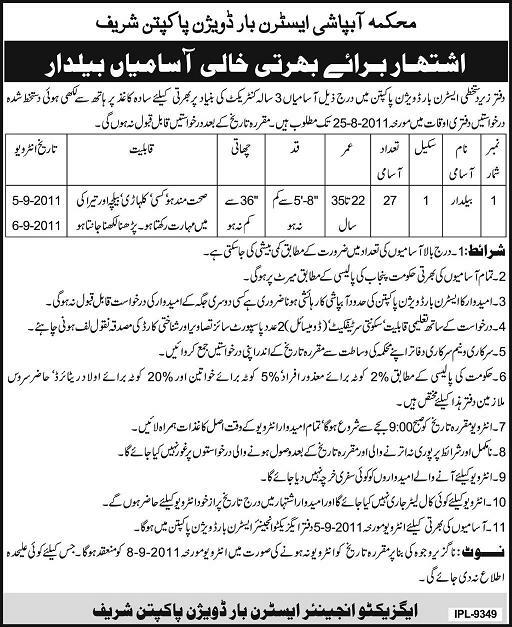 Jobs of Statistical Officer Punjab Health Department – Last Date to apply is September 15, 2011 (15-09-2011) – Daily Express Lahore 3-9-2011. 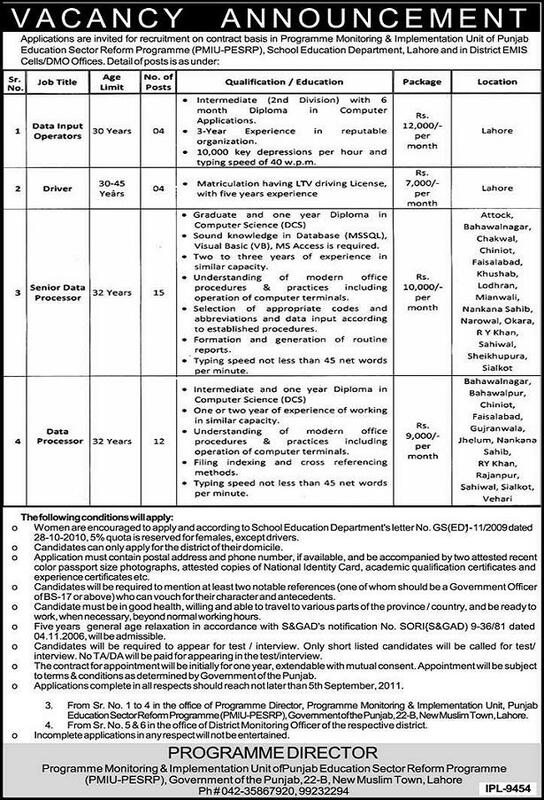 Jobs in IBA Community College Naushahro Feroze Sindh of Lecturers, Lab Demonstrator, Electrician and others. 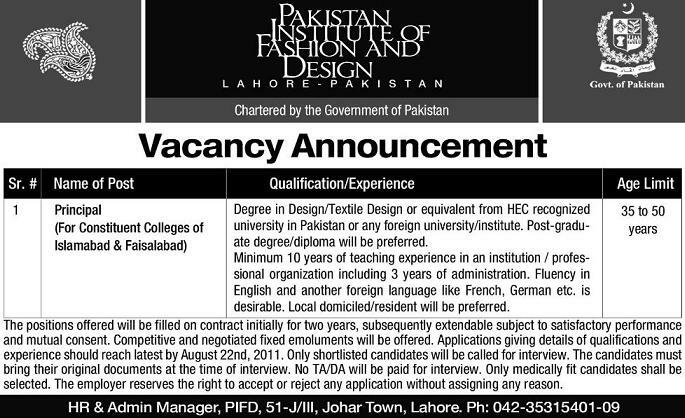 Last Date to Apply : September 20, 2011. Jobs of Data input Operator, Senior Data Processor, Driver and Data Processor in PMIU PESRP School Education Punjab – express 17-8-2011. 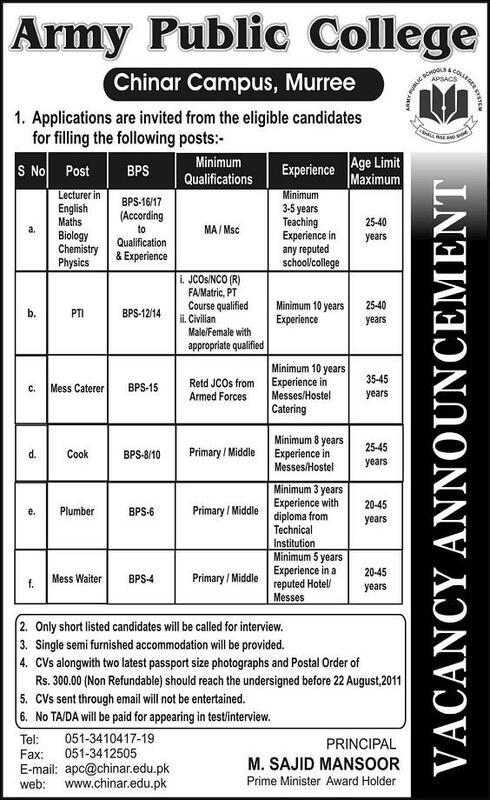 Jobs Lecturers, PTI, Cook, Plumber and cook waiter in Army Public College Chinar Campus Murree – express 14-8-2011. 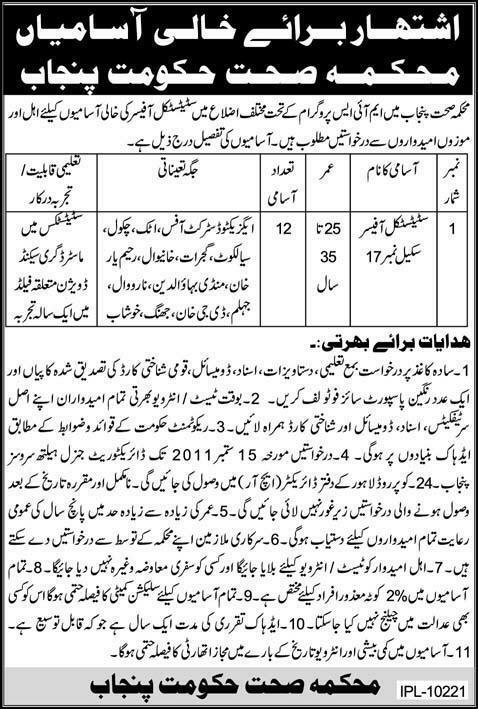 Jobs of Beldaar in Punjab Irrigation Department Pakpatan sharif – Express 14-8-2011. 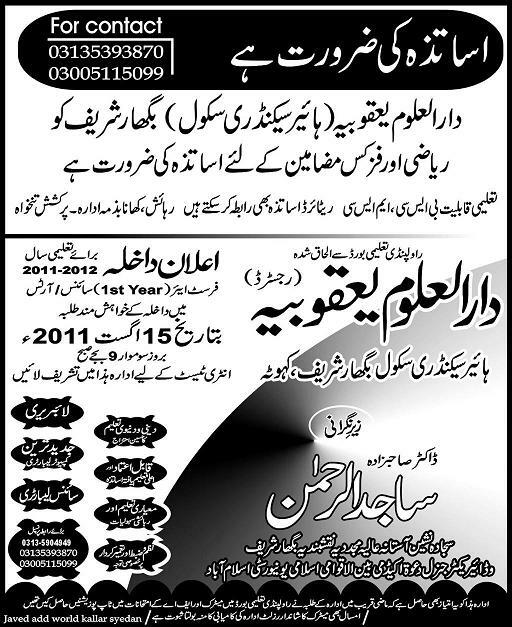 Rawalpindi (August 11, 2011) – Temporary Appointment of Lecturers in Rawalpindi Colleges starts today (August 11, 2011). Mathematics, Physics Jobs in Darul uloom Yaqubia Higher Secondary School Bighar Sharif Kahuta Rawalpindi.